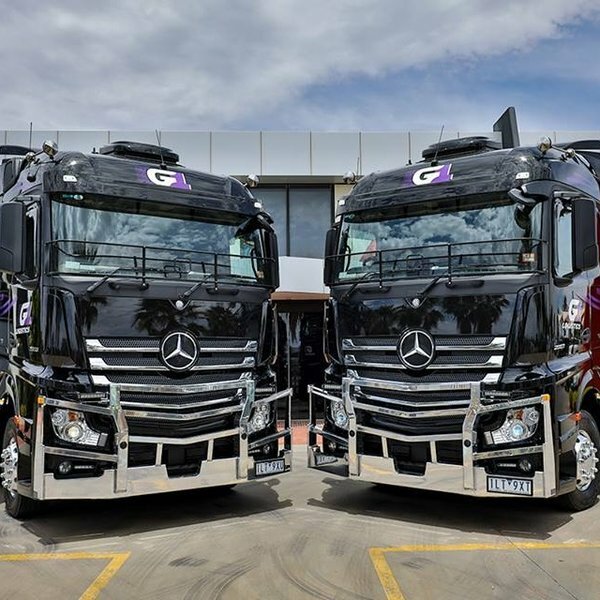 26/11/2018 - Daimler Trucks Adelaide were pleased to deliver to GTS Freight Management Pty Ltd two new generation Mercedes Benz 2663LS Actros with 630hp and striking black metallic paint complimented with some bling. You would have to agree these trucks look an absolute treat and I'm sure will catch the eye driving up and down the highway. 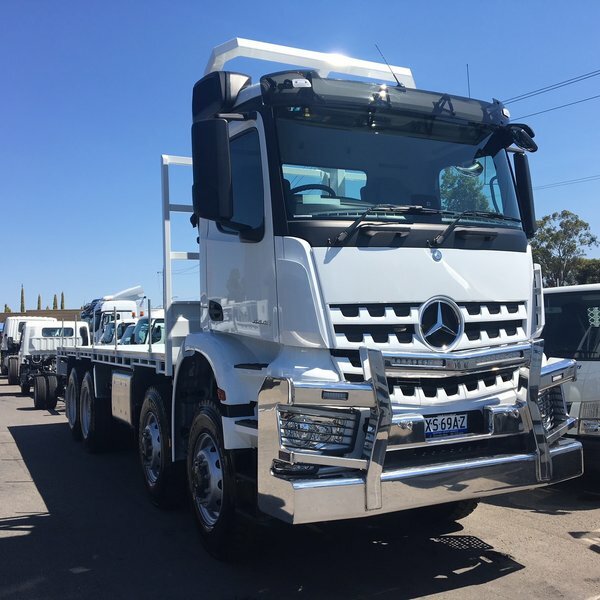 Management and the entire team at Daimler Trucks Adelaide would like to thank Damien and his Team at GTS / G1 logistics for their support. 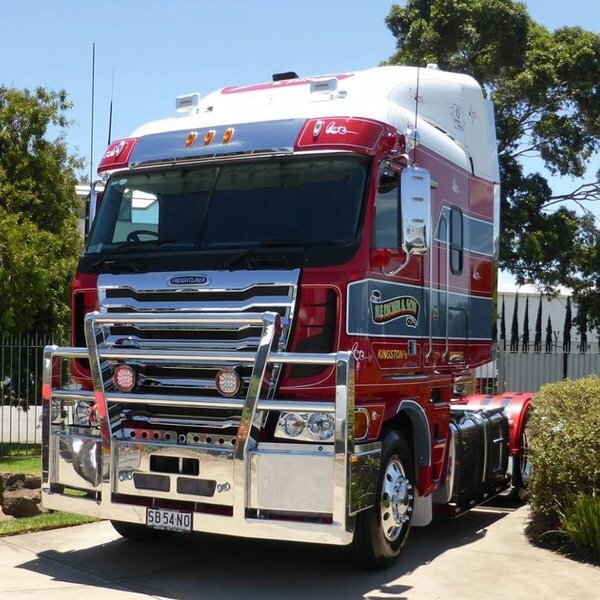 26/11/2018 - Gary and Timothy Dicker took delivery of their new Freightliner 110 Argosy. Painted in their fleet colours it looks amazing. This unit has an Eaton manual trans, 43000 lb diffs and rated at 106t. 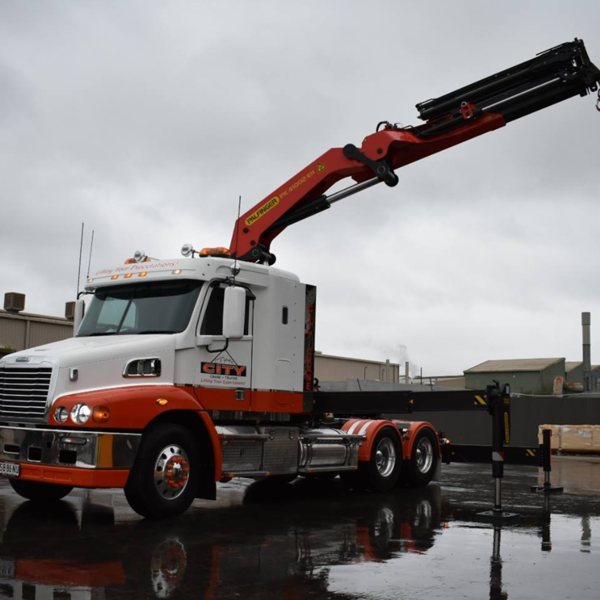 Brian Phillips and all the team at Daimler Trucks Adelaide would like to thank H F Dicker for their continued support. 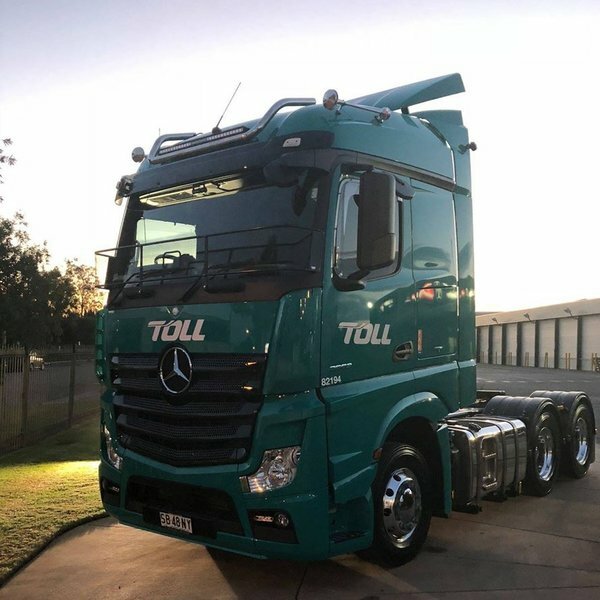 26/11/2018 - The Toll Group have just taken delivery of another ten Mercedes Benz Actros to add to their fleet to be put into work in various operations. This lot comprising of the 2663, 2653 and 2651 models that are all part of the new Actros lineup. 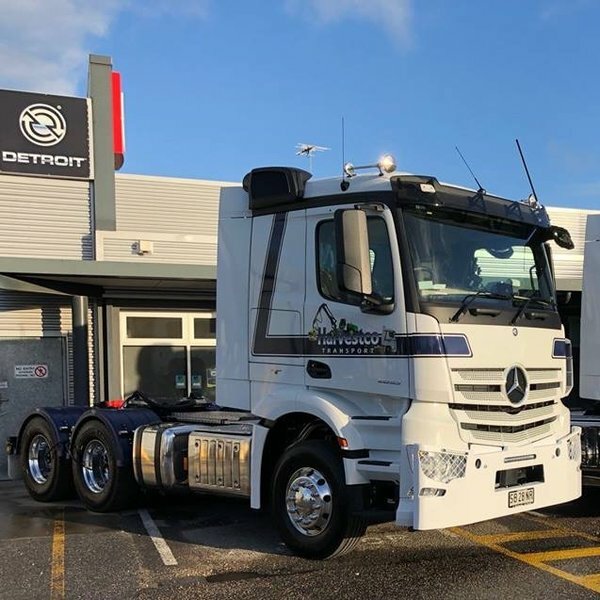 26/11/2018 - Darryl Siviour was delighted to deliver yet another two Mercedes Benz Actros 2653's to Harvestco Transport to add to their growing fleet. Harvestco are the leaders in all aspects of forestry and operate in areas all over South Australia and now branching out (pardon the pun) into New South Wales. The Actros is packed with safety features and driver comfort to help them get the job done, with safety being one of Harvestco's core values. Darryl would like to thank the Team at Harvestco for their continued support.